This fun British boxing movie might not be the most original thing you'll see all year but it has a lot of heart and some good fight scenes and a lot of laughs. Two men on a ring are punching each other, each blow reverberating from their skin to the heated audience. The room is filled with sweat and brimming with anticipation, the boxers keeping entirely focused on their task. Everything is happening in slow-motion to the beat of the cheers, until one of the fighters is knocked to the ground, leaving the other victorious and… snoring in a small office filled with junk. Doug, Brad Moore (“North v South”, “Golden Years”), is an ex boxing champion whose hours of glory are well behind him – now, he takes care of Taffy’s Gym, an inheritance from his late mentor and the habitual meeting spot of a heteroclite group of boxers and trainers, all friends with one another and deeply attached to the place. 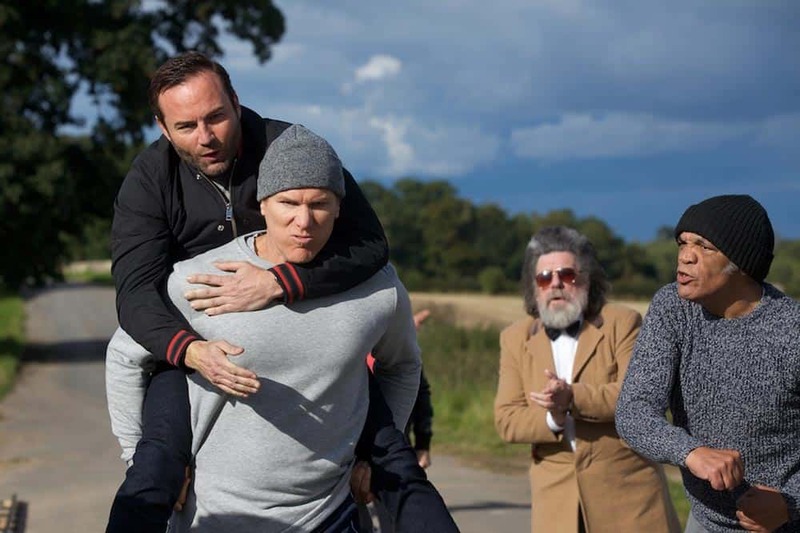 But just when the young Donny, Laurie Kynaston (“Cradle To Grave (TV)”, “England Is Mine”), enters the gym with the ambition of following in the steps of his sportive family, Doug, riddled with debts, is about to lose the gym to two businessmen (Matt Barber (“Downton Abbey (TV)”, “Plastic”) & Tom Craine (“Josh (TV)”, “Phil’s Ill (TV)”) who plan to turn it into a modern gym specializing in yoga and zumba. 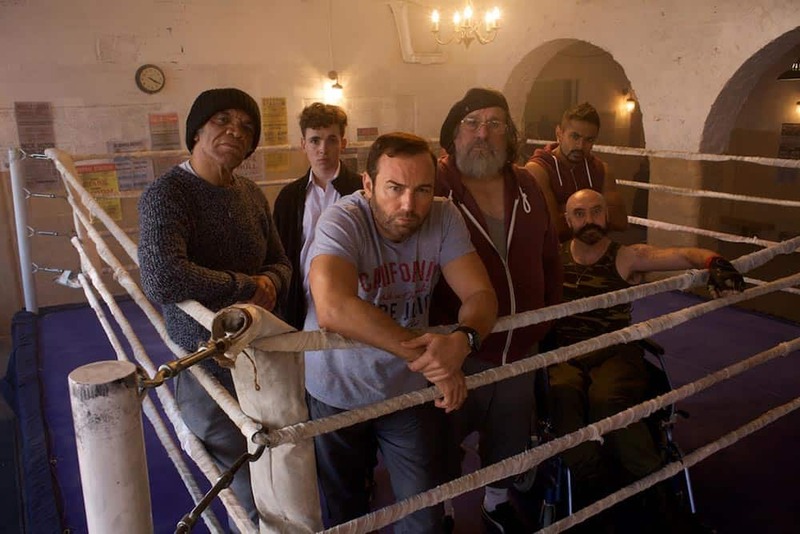 With the help of Donny’s mother Vera, Denise Van Outen (“Eastenders (TV)”, “Hotel Babylon (TV)”), Doug and his friends start to train Vera’s brother, Greg Orvis (“Vikings (TV)”, “Any Given Sunday”), a boxing champion about to take on an important bare-knuckled fight that could win them enough money to pay off the debts and keep the gym. The talent of Steven Nesbit (“North v South”, “Curio”) and Kyle Heslop (“North v South”, “Frank”) (respectively the director and cinematographer) is apparent from the very first scene. Each movement and frame looks slick and clean. Most of all, it is the two editors’ work that impresses: Calum Ross & Saska Simpson cut everything right on time and on what matters, crafting a very lively film that never lets the viewer dowse off. Just like the transition between the intense introduction scene to a sleepy, less glorious Doug, the tone constantly shifts between drama and comedy. But, whilst the first transition was comically jarring, the rest of the film juggles between both with extreme precision. Gloves Off is a blast to watch, full of humor and perfect timing, but the comedy never undercuts the serious moments; it gets enough time to breathe as the rest and helps ground the film emotionally, making it more than just a brainless comedy. Lead actor Brad Moore co-wrote the film and obviously injected a lot of heart into the project: he was himself a boxer trained by a late Taffy Green, who gives his name to the fictional gym of the film. But, despite his involvement in the film and important screen presence, Moore never overshadows the secondary characters, all charming outcasts who make you regret their lack of backstory or even proper storylines. Instead, the plot is very centered on Doug and the gym, a wise decision that is nevertheless weakened by two subplots: Doug wanting to reunite with his long-lost daughter, a story that doesn’t provide much (if not anything at all) to the main plot, and Donny’s wish to become a boxer which never gets a proper closure. Because this is a boxing movie, it is crucial to mention the fight scenes: they are very well choreographed, with a superb job from the editors, sound department and stunt performers. Each punch feels as real as everything else. Gloves Off is a punchy, fun film made with talent; and there is absolutely no need to be a boxing fan to enjoy it!